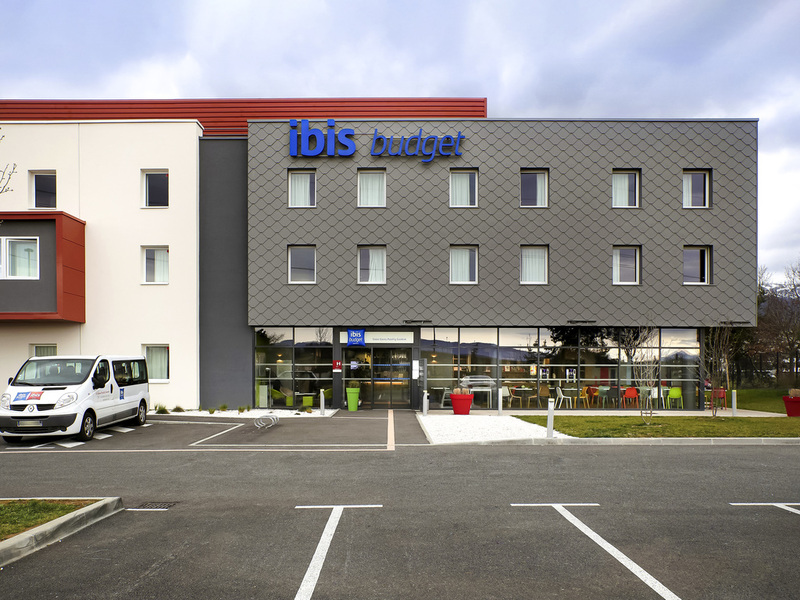 Welcome to the ibis budget Saint Genis Pouilly Genève hotel, located between Lake Geneva and the Jura mountains, and next to the Swiss border! We will do our utmost to ensure you enjoy a great stay, whether it's for business, with family or with friends. The ibis budget Saint Genis Pouilly Genève hotel offers 81 new-generation rooms with WIFI and an enclosed bathroom. The hotel is easily accessible, ideally located just 4.4 miles (7 km) from Geneva Airport, between the lake and the Jura Mountains. In the heart of the Saint-Genis-Pouilly Technoparc, you can reach the heart of the city or CERN in just 5 minutes. Saint-Genis-Pouilly is located at the foot of the Jura mountains, a wonderful location for hiking in summer and downhill or cross-country skiing in winter. Geneva city center, its famous fountain and Lake Geneva are just a short drive from the hotel. New-generation rooms with an enclosed bathroom, WIFI, flat-screen TV and air conditioning. Ideal whether traveling alone, as a couple or with family or friends.